Security Cabinet instructs defense establishment to respond to every incendiary kite and balloon after terrorists launch 100 rockets. The Political-Security Cabinet on Sunday instructed the defense establishment and the IDF to continue the policy of response that began Saturday in which the IDF responds to every attack on Israeli territory which originates from the Gaza Strip. 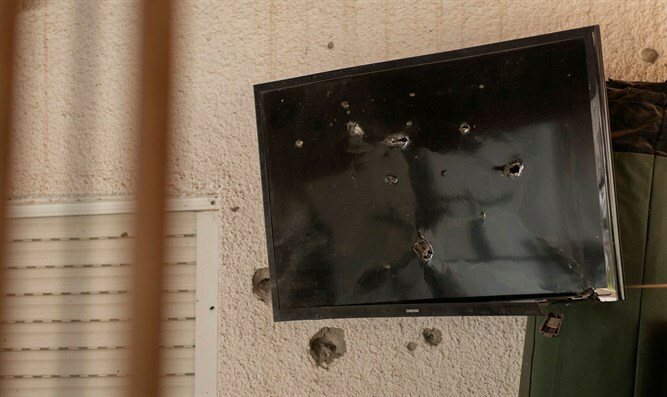 The IDF struck a series of Hamas targets Saturday after terrorists fired over 100 rockets at Israel from Gaza. According to the directive, there will be an identical military response to any attack involving a rocket, an incendiary kite or a Molotov cocktail and will include a direct attack by the launchers rather than near them. However, it was decided not to attack directly if the launchers were identified as children. The Cabinet meeting was attended by Chief of Staff Gadi Eizenkot, ISA Director Nadav Argaman and Head of the Intelligence Directorate Major General Hartzi Halevy. Defense Minister Avigdor Liberman used his right of speech to criticize ministers Naftali Bennett and Yisrael Katz, who were interviewed today by the media and expressed their protest against the IDF's perceived inaction against the phenomenon of kite terrorism. He demanded that the two not publicly criticize the army, the government and Prime Minister Netanyahu. Other ministers wondered what the cease-fire achieved on the Gaza border with Hamas was and heard that in the summations related to the creation of the fire, there was talk of a gradual halt that would within days turn to a complete end of the launching of balloons and incendiary missiles into Israeli territory.